why customer should buy a cnc router,because the cnc router can help them a wide range of process areas we can accommodates all standard sheet sizes and an endless supply of CNC machine options, you can ensures that all woodworking needs are met.Also it will be able to greatly expand the capabilities of your shop, reduce labor hours, improve efficiency, and become more competitive in your market. 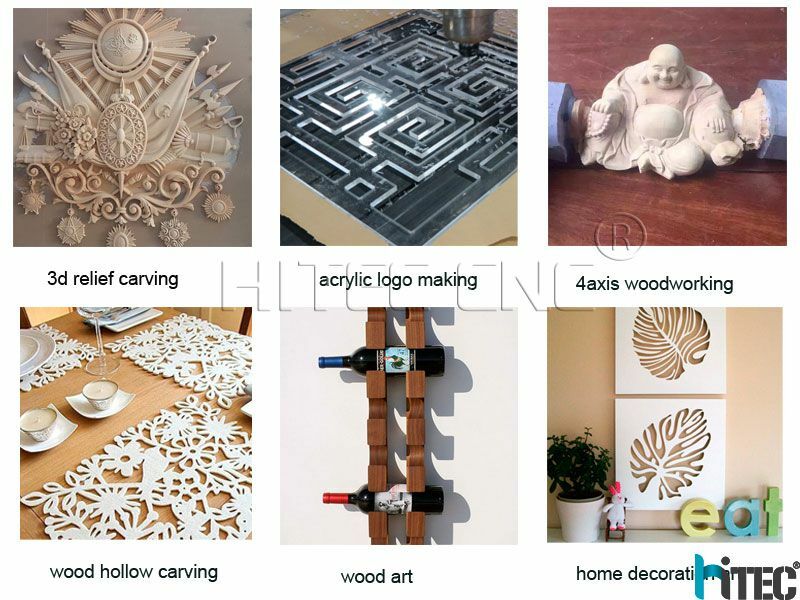 Today let Hitec cnc clearly for you,what kind of woodworking industy can used by cnc router. 1.Advertising sign, logo making, acrylic cutting, plastic molding, engraving on a variety of advertising decorative products materials. 1.More accurate, more intelligent, more humane, more user-friendly, easier to use, more durable! 2.High efficiency:Multiple spindle motor work separately, saving tool changing time, can complete large scale product processing. 4.Transmission speed: Double axis with helical rack rotation, fast speed, high efficiency, traveling speed can be 40 meters / minute. This machine widely used for kitchen cabinet door,office furniture,hotel furniture,also it can making lock holes or engrave patterns on solid wood doors, composite gates, cupboard doors, interior doors, sofa legs, headboards, antique furniture and other panel furniture. 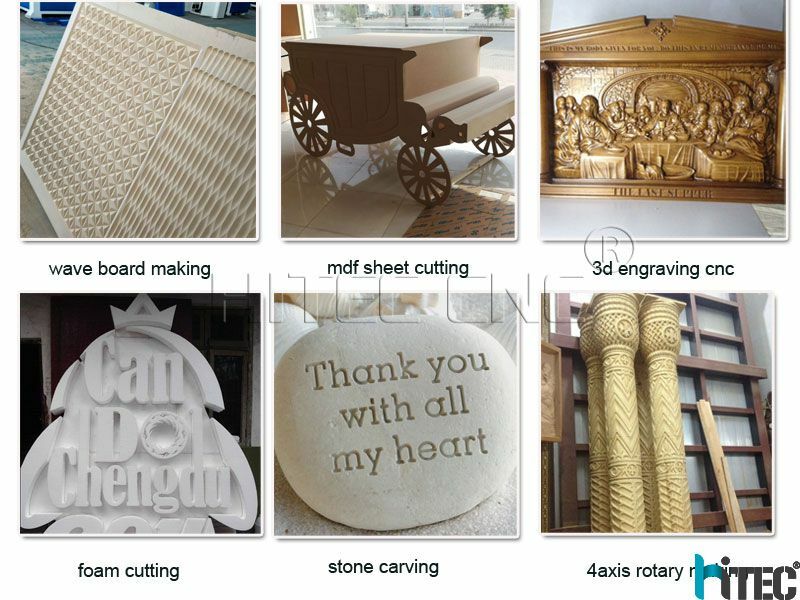 Decoration Industry:it is applicable to engrave various decorative patterns on the surface of decorative paintings, screens, three-dimensional wave boards, and acoustic boards. Hot sale furniture production line cnc router in the market. Any enquiry of the cnc router,feel free to contact our HITEC CNC ROUTER. Next : whats laser cutter machines advatage?